January 18th, 2010 by KTU | Filed under Fabrication Resources. 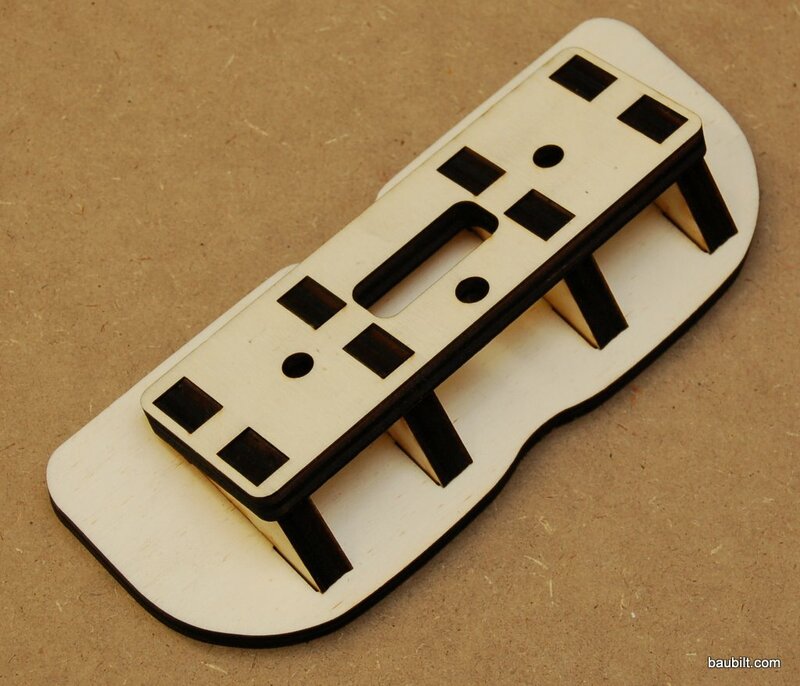 Ponoko is a web-based business offering laser cutting from almost any file format. This service can be used to make fussy parts with complex curves. For example, I needed to prototype a three dimensional component and made the basic structure with interlocking pieces of plywood. 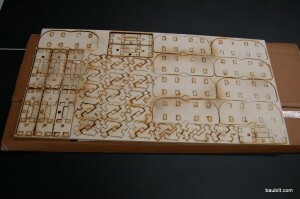 Here is a sheet of the pieces as they came from Ponoko. 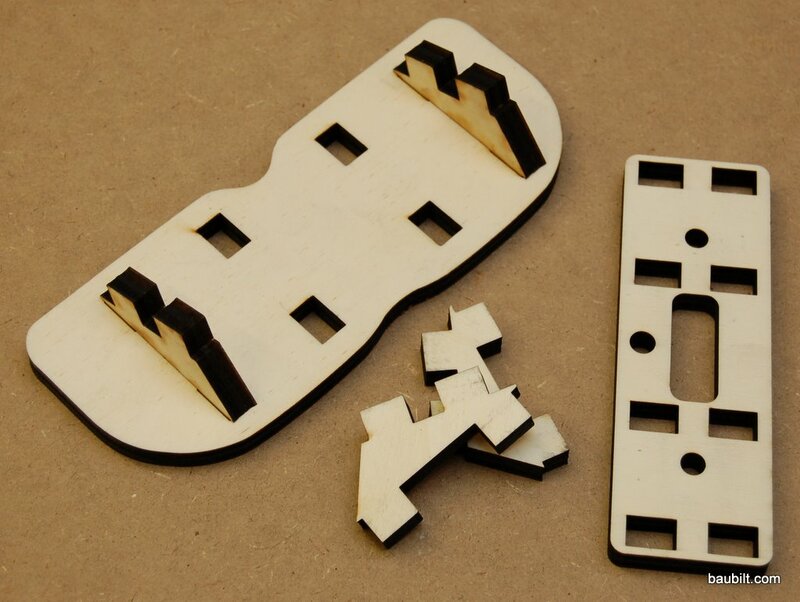 To minimize costs you try to nest as many parts as you can on a sheet of material. I fit nine sets on this piece. Ponoko offers lots of materials. I drew these parts in Adobe Illustrator, but almost any drawing tool can be used, even Powerpoint, I think. Nine sets of parts nested onto one sheet of plywood as delivered from Ponoko. The two-dimensional parts from Ponoko before being assembled. Here you can see the parts going together to form a three-dimensional structure. I glued the parts together with Gorilla glue and the structure was super strong and very precise. 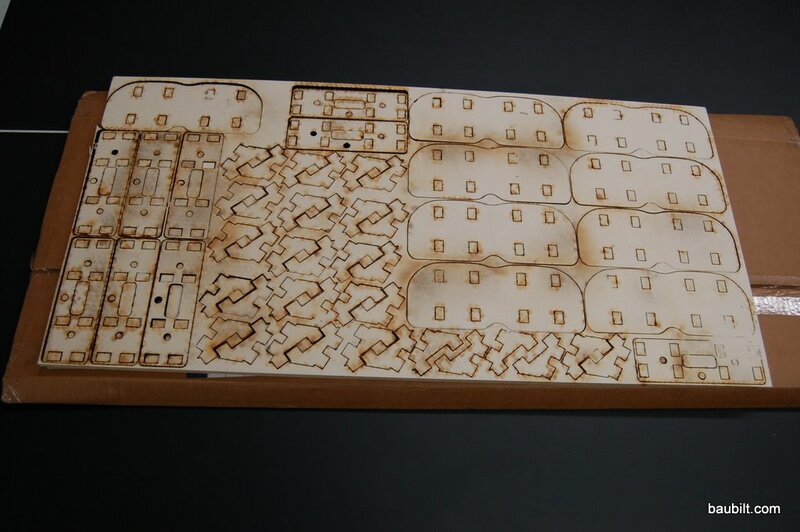 Three-dimensional wooden structure assembled from two-dimensional laser-cut parts.